Round Hill Capital (“Round Hill”), a global leading real estate investment, development and asset management firm, today announces that it is partnering with Cortland (“Cortland”), an Atlanta-based, vertically integrated multifamily investment and management firm, around an income and growth strategy to deliver access to the U.S. multifamily housing sector for European and international institutional investors. 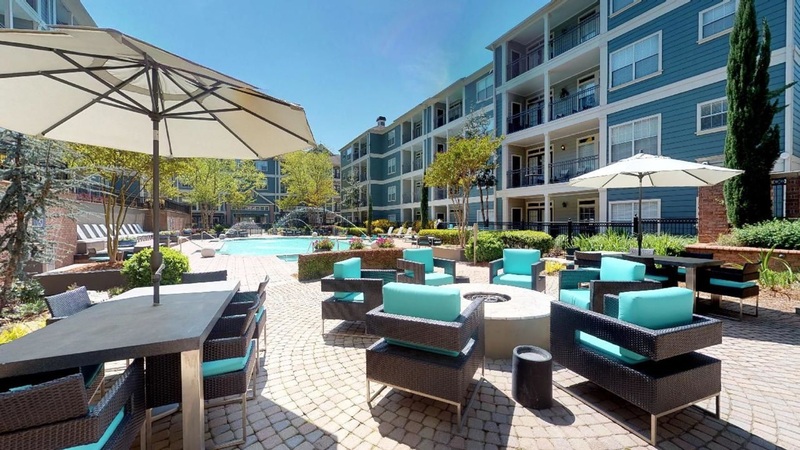 As part of the strategy, Round Hill has closed on its first investment in the United States, The Exchange at North Haven, a high-quality, 411-unit inner suburban apartment community located in the Brookhaven/Chamblee neighborhoods of Atlanta, GA. This transaction represents the start of an ongoing program of investment in the U.S. to build a significant multifamily housing portfolio, focused on stable, attractive, income-producing assets. Round Hill and Cortland are working in partnership as part of this multifamily housing sector strategy. Investment management will be led by Round Hill, with their long-established international expertise in this area. The community and day-to-day operations of the partnership will be managed by Cortland’s first-class local management teams. Round Hill has a successful track record of investing in and operating residential and student accommodation assets across the UK and Europe. The firm has acquired, built and managed over 110,000 residential accommodation and student housing beds in eight European countries. Round Hill’s approach incorporates multiple strategies, including acquiring existing assets, developing purpose-built assets, forward-funding and repositioning assets across the UK, Europe and Americas. “Round Hill principals started investing in the U.S. in 2010. Since then, we have been carefully evaluating the U.S. real estate market, building a team and seeking strategic opportunities to partner with best-in-class operators and managers. Accordingly, we are pleased to partner with Cortland and acquire The Exchange and we expect to make further investments through our strong identified investment pipeline. Round Hill has a successful track record of investing in and operating residential and student accommodation assets across Europe. The Group currently manages circa 65,000 residential units and student housing beds in eight European countries. Round Hill’s approach incorporates multiple strategies, such as acquiring existing assets, developing new purpose-built assets, forward-purchasing assets and repositioning assets. Atlanta-based multifamily real estate company Cortland is a product-to-people, multifamily real estate investment, development, and management company, dedicated to resident-centric, hospitality-driven living experiences. All aspects of Cortland’s business are in-house, including construction, design, and property management. Cortland owns and manages 153 apartment communities with more than 50,000 homes in the US with regional offices in Charlotte, Dallas, Denver, Houston, and Orlando. In 2015, the company opened a global materials sourcing office in Shanghai, and in 2017, it expanded its development platform into the UK. Cortland is a National Multifamily Housing Council (NMHC) Top 50 Owner and Manager and is ranked 7th among Atlanta’s “Top 25 Large Workplaces” (2017). For more information, please visit www.cortland.com. Newgate Communications / Gasthalter & Co.